Working on an updated assisted living or nursing home layout design? Customer demand and increased competition are driving design innovation across the LTC industry. 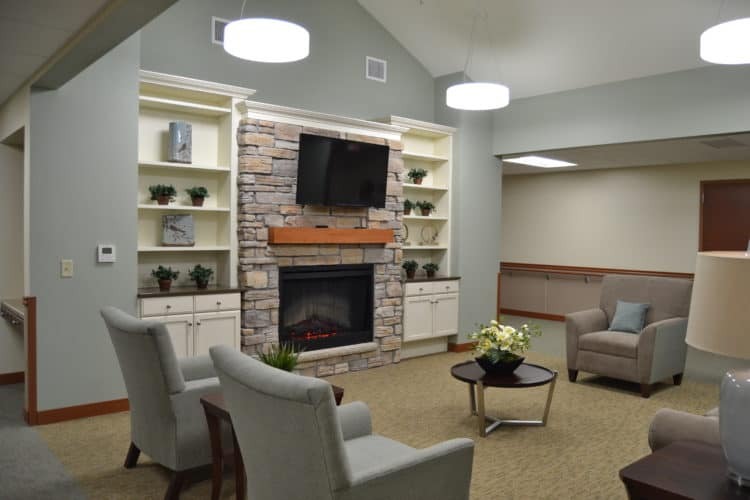 If you’re looking for help choosing the right design elements for your community, read on as we share nursing home design trends to consider and the ones to pass by. Ambiance and aesthetics are becoming more important than ever. Today’s seniors are savvy consumers and decision makers. They seek out communities that fit their lifestyle and personal identity. Think of your community in the same realm as a resort or hotel. Hospitality industry-inspired design in lobbies, common spaces and dining areas is here to stay as seniors look for spaces they can see themselves living in. They also want their family and guests to feel welcome and comfortable. Speaking of resorts, Senior Housing News reports that restaurant-style dining has become a need-to-have amenity. Think outside the “bistro-box.” Multiple dining options within a single community are becoming more and more common, and it doesn’t have to drain the budget. Well-planned restaurants and take-out dining can generate revenue, community involvement and even potential resident leads! Birch Way, a part of Good Shepherd Services in Seymour, Wis.
Prairie Pointe, part of Grace Lutheran Communities in Altoona, Wis.
Each of these was built to accommodate various levels of care, as well as various payment sources. Aside from providing additional levels of care, thoughtful nursing home design can drive real living spaces that support people and the lives they want to create. Create spaces the build community and feel like home. You might ask, how do we know if we’ve designed a community that supports our ideal residents’ lifestyles? Get to know your audience via market research and customer data. Research to identify the lifestyle needs and desires of your current and future residents isn’t always covered in a standard market needs assessment, but these customer level insights are critical for successful community design. Considering needs of different types of residents and their family members will help prioritize potential design options. For example, dining options may seem like the most important design upgrade for your community, but your residents might be more concerned about how your community helps facilitate their active lifestyle. Customer data can guide those investment decisions. Creating real living spaces also means that one-size-fits-all fitness centers are out, and usable wellness spaces focused on group classes or one-on-one personal training or therapy are more desirable. Fitness centers are one area where you can skip the general hospitality industry approach. Few people love using that boring hotel fitness center, and your residents likely feel the same. Seniors are looking to stay as active as possible, and purposeful spaces can help make that happen. Considering a design shift or new build for your senior living community? At Community Living Solutions, we have vast knowledge in all areas of senior living facility planning, designing and building. In fact, it’s all we do. If you are preparing for a remodel, addition or new senior living facility, connect with our team or call (920) 969-9344 for your free consultation.